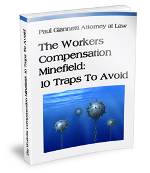 If you have a New York State Workers’ Compensation case and have been offered a final settlement or schedule loss of use award by an insurance company or have received some type of official notice from the Workers’ Compensation Board regarding permanency or settlement it is probably time to consult with an attorney. The last thing that the insurance company wants is an informed claimant and that is the exact reason why you should secure legal advice regarding your case. 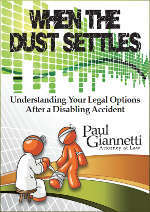 A Section 32 settlement, if offered by the insurance company, usually means the end of all aspects of one’s case. Most Section 32 settlements are buyouts of both the medical and lost wage portion of a claim and, under no circumstances, will any further benefits be paid after the settlement is made. Schedule loss of use awards represents a final determination regarding loss of function of a specific body part. This determination can result in a one-time payment and often represents the final indemnity payment made on a claim. If you have questions regarding settling your case or receiving a fair schedule loss of use award, we would be happy to discuss your matter with you.